Screenshot from currently airing tvN's drama series "Heart to Heart"
February, the month of love, they say. Perhaps because in the four-seasons countries, February is the month when the spring starts. Well, spring, so they say, is the season of love. In opposite to spring, autumn is said as the season of loneliness; the time to reminisce after a broken heart. Meanwhile, spring is the time when the love starts blooming again. Indeed, in order to be able to start over, we have to be brave to leave the past. The old withering leaves have to fall in order for the flowers to be able to bloom. Just believe, that as much as you suffer because of love, that’s just as much as your love will get stronger. Never be afraid to say goodbye to the past love and feel the pain of longing, because an ending is always a beginning of the new ones; It’s Okay, This Is Love. Let’s take a moment to do a reflection of our heart; who does it belong to and whom is it longing for; as the song I’m about to introduce is a perfect song to accompany your reflection moment. It’s a ballad song titled “Love That Left Autumn (가을을 남기고 간 사랑)”, which was performed by one of the legendary Korean female singer, Patti Kim. It’s the most popular hit song of Kim and composer Park Chun Seok. It was first released in 1983 and was also made into a movie in 1984. Up until now, the song had been performed twice in the entertainment music program, “Immortal Songs 2: Singing the Legend”. The first one was during the first part Patti Kim special episodes, when it was performed by the male balladeer, K.Will. The 43rd installment was broadcasted by KBS television station on March 24th 2012, and aired on KBS World channel on April 14th 2012. Second, it was during the “Sing the Season of Autumn” special episode, when the song was performed by the amazing rookie female singer, Son Seung Yeon. The 167th episode was aired on KBS television station on October 4th 2014, and later was broadcasted by KBS World channel on October 25th 2014. Son Seung Yeon performed "Love That Left Autumn" on "Immortal Songs 2"
As a note for the translation of “Love That Left Autumn (가을을 남기고 간 사랑)”, the words “migratory bird” loses all poetic meaning in English and turns into a clunker that weighs down the romance of the song. But in Korean, “migratory bird” is the symbol of a living thing that takes on a very long journey to live and find its home; like a human. So when it finally folds its wings, it means that it has found the home and rest assured; like a human who has found the place they belong to be, their love for life. 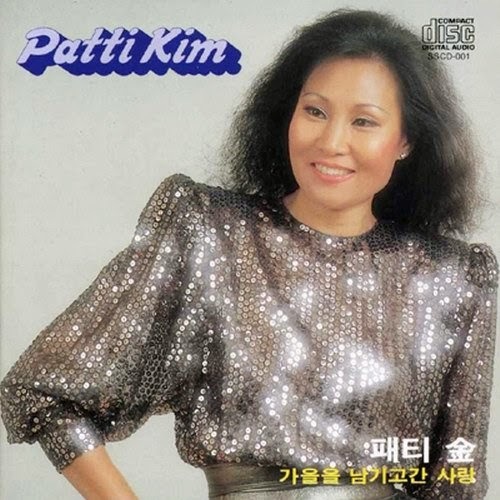 Patti Kim chose this song as the one of her favorite songs. She sang this song for last performance in her retirement concert. As one of the most popular autumn songs for its beautiful poetic lyrics and sentimenral melody, it is one of the most beloved songs of Koreans. Talking about the two performances made in “Immortal Songs 2” for this song, I would say that prefer the Son Seung Yeon’s ballad rendition to K.Will’s ballad R n’ B arrangement, like so much! I love Son’s version very much! Perhaps even a little more than I love the original version. It’s another proof that Son is really something else; a monster-rookie singer!